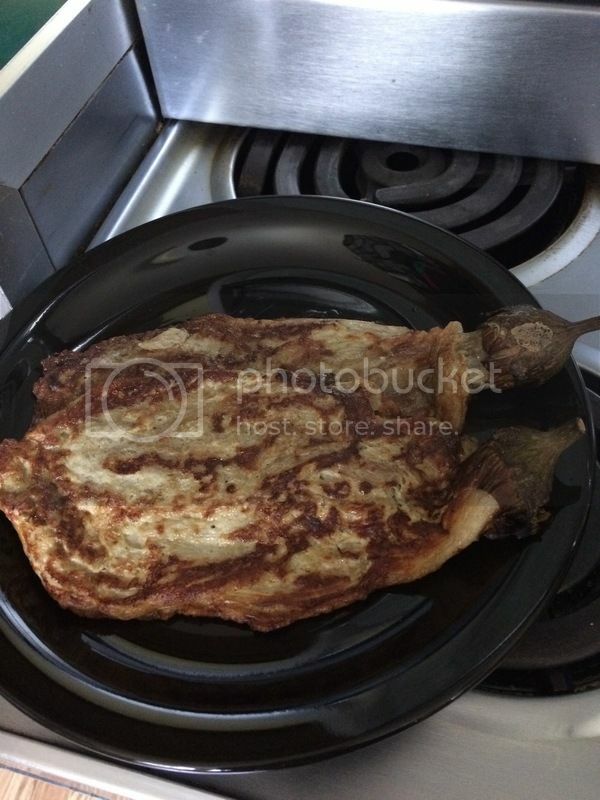 One of my favorite Filipino Dish is a Grilled Eggplant and fried with egg or known as “Tortang Talong”. I’m a big fan of eggplant no matter how it is made. But, one of the greatest food it will be served is through this way. It is hard to find the long skinny kind of eggplant in my town. I have to grow one if I really want the kind that we use. It’s better that way because when you grill it, the inside will be perfectly cooked. Eggplants in the store were fat and so, grilling them isn’t good unless I have to cut them. Yet, if it’s not summer there is not a way to grow the Japanese Eggplant in our backyard, and so whenever we went to Buffalo, NY, I always asked my husband to swing by at the Asian Store to buy the stuff I need, just like the eggplant. Here it is, a very simple way to prepare a grilled eggpland and fried it with egg.